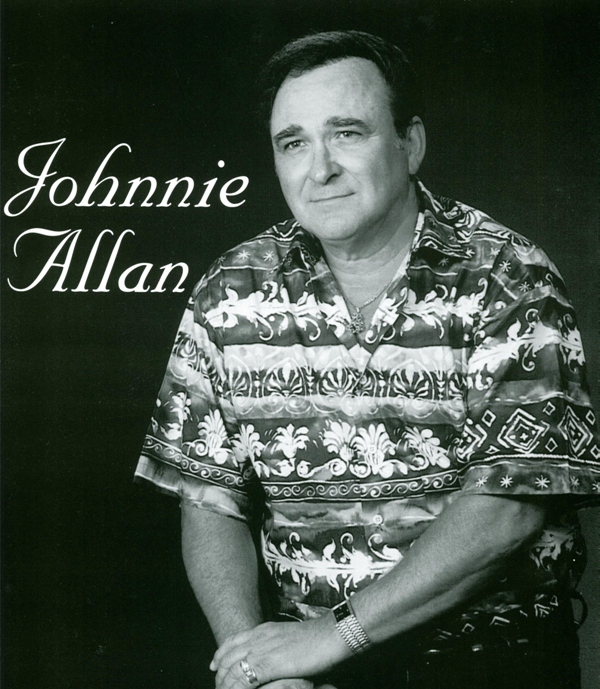 A singer, songwriter, author, publisher and producer, Johnnie Allan has been an important force in south Louisiana music since the 1950s. Born near Rayne, Louisiana, on March 10, 1938, Allan started his musical career at the age of 13 and has performed in America and Europe almost non-stop since then. The popular entertainer has recorded and released over 60 singles, 14 albums/CDs in the United States, 7 albums/CDs in Europe and over 40 compilations worldwide containing such songs as "South to Louisiana', ‘Lonely Days, Lonely Nights' and `Promised Land' which earned him a gold record in the 1990s. In addition to pursuing his own musical interests, Allan has been a promoter of other performers from his generation. In 1981, he produced the first "South Louisiana Music All-Star Show" in Thibodaux with many of the legendary figures of the swamp-pop sound Allan helped popularize in the late 1950s and early 1960s. A retired teacher/principal, Allan is active in a wide variety of music-related projects having published three books,"Memories-A Pictorial History Of South Louisiana Music", "A Souvenir Book-Johnnie Allan" and "Born To Be A Loser-The Jimmy Donley Story". Semi-retired from the music business, Allan enjoys reading and spending time at his camp with friends. He is a world traveler and has set foot on all seven continents. But mostly he enjoys spending time with his family, especially his grandchildren.